November. Autumn. Pumpkin pie. Turkey. Parents. Kids. Cousins. Friends. Thanksgiving. Thanksgiving is always at my house and the food is hot and ready on the dining room table at 2PM. But not this year. The kids and grandkids alternate Thanksgiving and Christmas with us and the in-laws. Pretty typical, I think, for most families with married children. But this year is not OUR year and my mom won’t be coming to my house either. She has Alzheimer's. My husband and I will definitely be visiting her, but it’s too stressful and confusing to disrupt her too much. So, this year, at home on Thanksgiving Day, my husband and I will be alone. We considered inviting other guests, or inviting ourselves out to enjoy someone else’s turkey dinner, but then we decided that maybe ‘alone’ was okay. Other people, people who don’t have lots of family, often spend holidays alone. Is it a first choice? For them? For us? I don’t know, but after the last several years – illness, Alzheimer's, full time job plus writing, and so on – the idea of a lonely…or rather a peaceful Thanksgiving began to seem appealing. A different Thanksgiving. 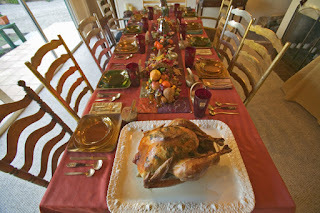 Still blessed, but not with the usual noisy, bustling, fragrant chaos of tables end-to-end and filled with loved ones. We’ll still have turkey, of course. We’ll enjoy a little Thanksgiving with my mother and the other ladies in the memory care unit. And with time off from work, maybe I’ll have a little bonus de-stressing by being able to focus solely on editing the new book. LOL. Sounds like the day is filling back up again – just not in the way to which I’m accustomed to for celebrating Thanksgiving. Not good, not bad. Just different. Did you read SWEET CHRISTMAS KISSES last year? My contribution was BEACH CHRISTMAS which deals with how life may change and letting go. In SWEET CHRISTMAS KISSES 2 this year, my contribution is BEACH WALK in which two strangers each think they know what they want (one house) but discover that getting one’s wish isn’t always the happiest ending. 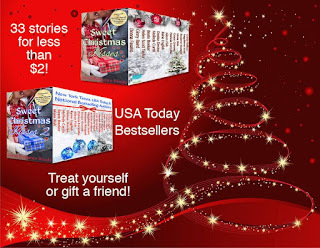 SWEET CHRISTMAS KISSES 1 (19 novellas and novels!) & 2 (14 novellas!) are both on sale for only **99 cents** each. Download them now and enjoy them when you have downtime or are able to indulge in reading time in the holiday season. Grace Greene writes contemporary romance and suspense, and women’s fiction. Please visit her website: www.gracegreene.com and sign up for her newsletter. I can relate to your quiet Thanksgiving, Grace. I agree it's completely possible to be thankful in circumstances we wouldn't have chosen. Blessings! Ain't it the truth, Magdalena? Best laid plans and then one day - wow - it all just changes. I try to remember to enjoy the journey and not focus on the destination. My husband and I choose to be alone on Thanksgiving. We live in Texas and our daughters live in California and we prefer not to fly during the busy holiday season. Still, my husband and I love Thanksgiving. We have the traditional dinner and enjoy a peaceful and relaxing day. Hope you and your husband have a wonderful and relaxing Thanksgiving Day! 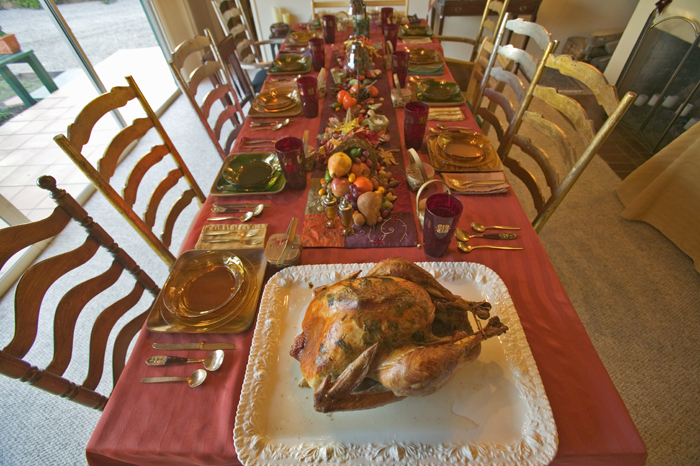 I love Thanksgiving, too - even the turkey dinner with gravy and stuffing - but I think this is the first year that I don't mind the prospect of table around which are the mostly empty chairs. As long as I get some really good editing done, I'll count it a win. And I'm totally with you about not wanting to travel on holidays. We alternate as well, but we'll have two of our kids home from college and I'll be driving 100 miles to cook Thanksgiving in my mom's kitchen. Change is sometimes more unsettling than the frantic pace to get the house clean, cook, and entertain! Mel - You remind me of the times I cooked the Thanksgiving dinner and carried it down (about an hour away) to my parent's house. I-95 can have dreadful traffic at the best of times and on some of those trips the traffic would back up. I told myself that if I couldn't make it to my parent's house at least I'd still have a great dinner! Hi, Cathy! Yes, I think I am actually ready for downtime and that's probably why my mind accepted this quiet Thanksgiving so readily. We do tend to overdo. How are you doing?